In The Craft Beer Newsroom, What's Brewing shares news from sources around the world of craft beer. Note that the opinions expressed within are those of the original source and not What's Brewing. Can you imagine working with your parent and/or child day in and day out? John and Nick Kapusty of Highway 97 Brewery can and do, but in all fairness they seem to actually enjoy it. 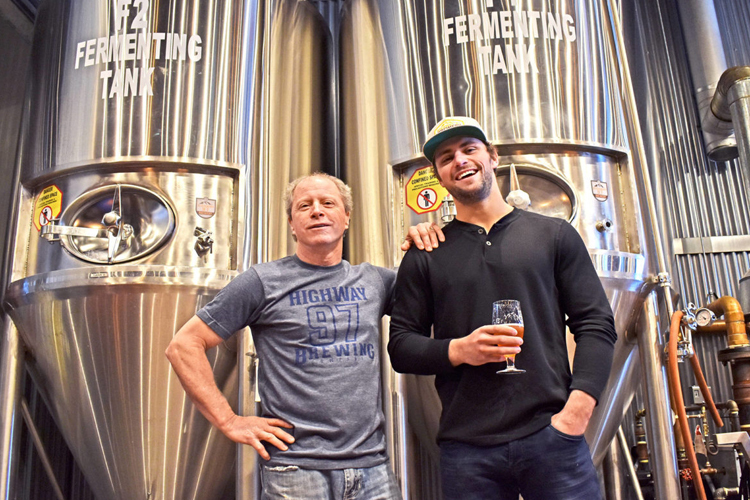 The father-son team like to have fun with their work of creating new brews for beer lovers to enjoy, and they gave the Western News a peek ‘Behind the Label’ to prove it. John noted that it’s nice to have someone younger like his son helping to manage the brewery to offer a different perspective.